Are You Ready To Fly Over And Take Off In Plane With Careem? 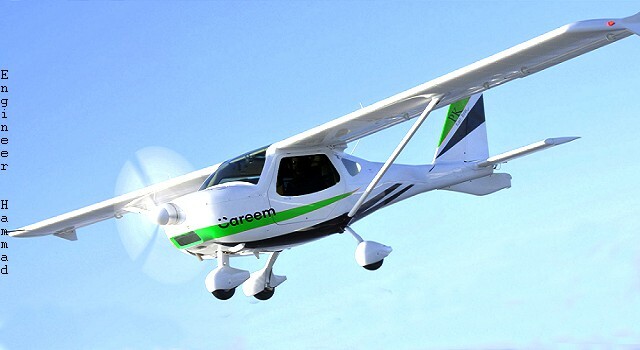 Careem Pakistan is signing a MOU and partnering with Sports Flying Club and Ultralight Lahore and proposing their customers to book a ride in an airplane. This would be a delightful experience to see Lahore from the clouds. Careem is now launching JAHAAZ service for their customers so they can travel via airline. What Careem #TakeOff campaign offers? It is not an airline service but an air safari ride for you to book right from your Careem application. Careem Air has partnered with USFC and Air Safari to start their JAHAAZ service. Operations of Careem Air are launching soon in Pakistan. So be ready for JAHAAZ service. * Trending Post: Amazing facts about Pakistan. To engage and amuse their customers they had launched Rishta Aunties service. Thorough which many people played Ludo on Twitter. After this everyone is anxiously waiting what’s next. So here their next exciting Service #TakeOff is launched. Customers can really book an air safari ride with Careem app in advance. For all of their customers, it would be full of excitement to ride in a real airplane at reasonable fare. Few days ago a sneak peek video updated on their timeline marking the launch. Careem is providing this service initially only in Lahore. After success of Careem Air, they may launch this in other cities of Pakistan or may offer Careem Air from one city to other. Just like their user-friendly app, this will be also easy to book a ride on Careem Air. First the user will have to select Car type ‘Careem Air’ then make a ‘later’ booking. After this step, Careem will call you for confirmation, then you will wait for your turn to enjoy amazing ride. It’s no more a dream to travel in airplane; Careem is providing an economical air ride. The ride will last for 13 to 14 minutes at very reasonable price. Only PKR 5600 will be charge per ride for two persons. This is just an incredible offer to utilize. For two people, PKR 5600 is not an expensive air ride. Moreover, it’s more than worthy. PKR 5600 is a low-cost air travel will ever be. * Trending Post: Countries that require no visa for pakistani passport. Weather conditions can affect your ride and it is the genuine reason to delay or cancel rides. Careem Air and USFC have rights to do these kinds of actions in critical weather or security conditions. This would be acceptable as this is for customers’ safety but in usual circumstances, there would be no such misfortune. Careem gives an opportunity to Lahoris to see Lahore in plane. Careem has really made its place in the Pakistani market through its admirable services for customers. *Trending Post: Online verification of vehicle ownership in Punjab, Pakistan.